First cut a 6" x 9 1/2" piece of Stampin' Up! Blackberry Bliss card stock and fold it in half for the base, a 4 1/2" x 5 3/4" piece of black for the middle layer and a 4 1/4" x 5 1/2" piece of white for the front. Next stamp the background in Blackberry Bliss ink with a stamp from the Stampin' Up! 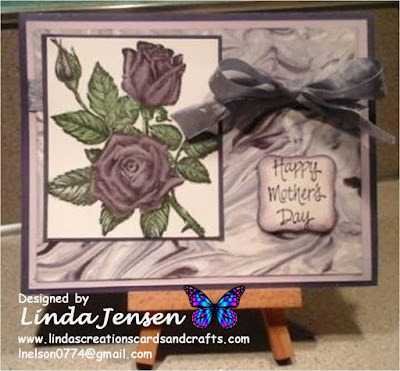 Gorgeous Grunge set then stamp the sentiment and flower in Stazon Jet Black ink. Next water color the flower's center with an aqua painter and Stampin' Up! Crushed Curry ink, the petals with Blackberry Bliss and the stem with Old Olive. 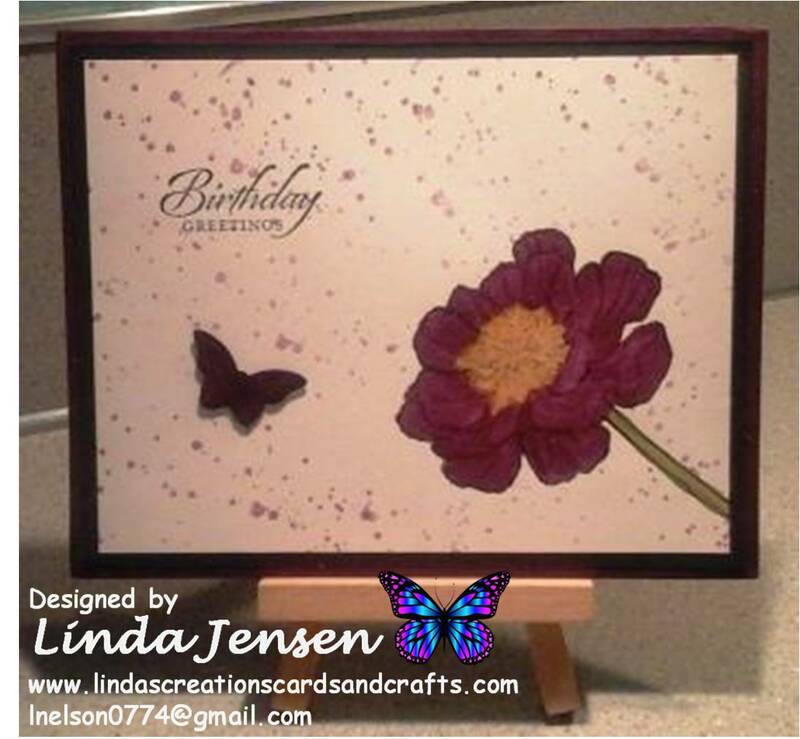 Then punch out the butterfly with a Stampin' Up! Bitty Butterfly Punch, attach it with a mini pop dot, attach the front to the middle layer then to the base and enjoy!